People who are interested in having a tour in Tibet always have the same question that when is the best time to visit Tibet. About this question, different people have different views. Generally, the summer holiday is the peak tourism season, however, the rainfalls are plenty. If you travel to Tibet in winter, you will visit the crystal-like glaciers. Winter is also a good season for tourists to see the grand snow-capped mountains，but the weather is too cold. If you want to travel to Nyingchi, autumn and spring are the best tour seasons. Actually, if you love Tibet, you will meet the beautiful scenery no matter what season you come. With the more than 122 kilometers, Tibet is divided into seven areas including Lhasa, Nyingchi, Ngari, Shigatse, Shannan, Chamdo, and Nagqu. The high altitude, climate, and culture vary from areas to areas. To most travelers, Lhasa is the first station after they set foot in Tibet because of the famous attractions and comfortable weather. If you are a budget tour traveler, you can travel to Tibet during the slack tourist season. You can save a lot of money on the entrance fares, train tickets, and accommodation. With fewer tourists, you can have the best experience in Tibet. If the time permits, a small local inn is a good place. Have a cup of tea, read a book, and have a walk. There are many natural resources in this area, such as grand mountains, waters, glaciers, animals, and plants. Surrounded by the high mountains, the geography and climate in Chamdo are very unique. Thus, you need to choose the right time if you go to Chamdo. The best time to have a tour in Chamdo is from April to May, and September to October. Or you will be blocked by the heavy snows or rains. July and August are the rainy seasons in Shigatse. But it always rains at night instead of the daytime. If you want to witness the grandeur of Mt Everest, you need to go this area from April to June, or October. There are a lot of Tibetan traditional festivals held from June to September. Thanks to the convenient transportation, you can travel to Shigatse all year around. The biggest feature in Nagqu is the boundless grassland and numerous lakes. The high altitude in Nagqu is very high. The temperature from May to September is higher than other months, and it is the golden season to visit the attractive grassland. When mentioned the richest ancient Tibetan relics, Shannan is the top one area. There are more than fifty cultural relics in Shannan. Here, you can enjoy the grand mountains, crystal-like lakes, and so on. The climate in Nyingchi is humid and warm all year around. 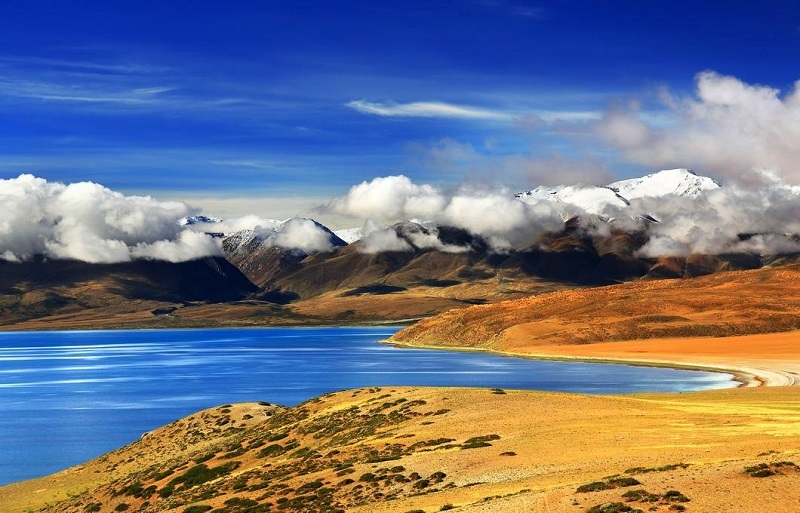 The natural scenery in Nyingchi ranks No.1 in Tibet. March to October are the best tourist months. From May to September are the rainy season which may cause the landslide. The best tour season for travelers to get to Ngari is from May to June, and from September to October. During these months, you can avoid the rainfall and heavy seasons. July and August are the rainy seasons, the vehicle will be blocked by the bad road condition.